NEW HORROR SERIES FROM THE WALKING DEAD CREATOR ROBERT KIRKMAN! Kyle Barnes has been plagued by demonic possession all his life and now he needs answers. Unfortunately, what he uncovers along the way could bring about the end of life on Earth as we know it. It begins here – with this terrifying DOUBLE-SIZED FIRST ISSUE featuring forty-four pages of story with no ads! Catch the television premiere of OUTCAST BY KIRKMAN & AZACETA, June 3rd on Cinemax. 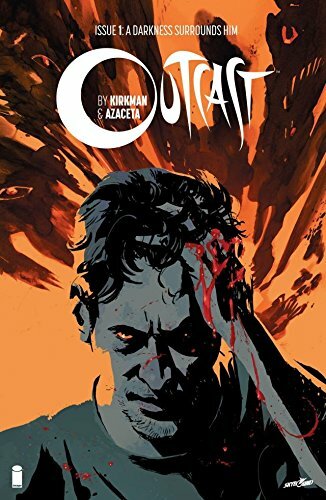 This is the Kindle version of Outcast by Kirkman & Azaceta #1 that you can also download and read on your computer and mobile phone. Kindle books are DRM protected and therefore, unlike ebooks that are in PDF or ePUB format, you cannot read this ebook without the official Kindle apps.